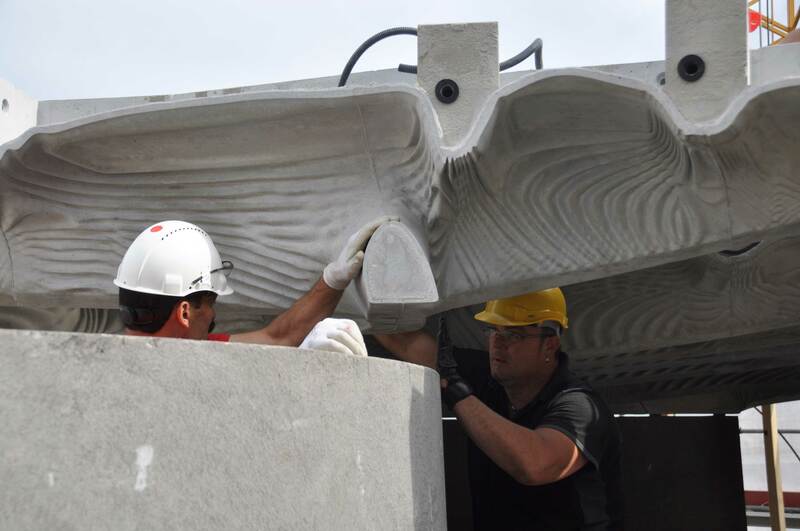 Little by little the five DFAB HOUSE innovation objects find their way onto the construction site: In the beginning of June, the Smart Slab ceiling elements were successfully assembeled within a week on the NEST building of Empa and Eawag. 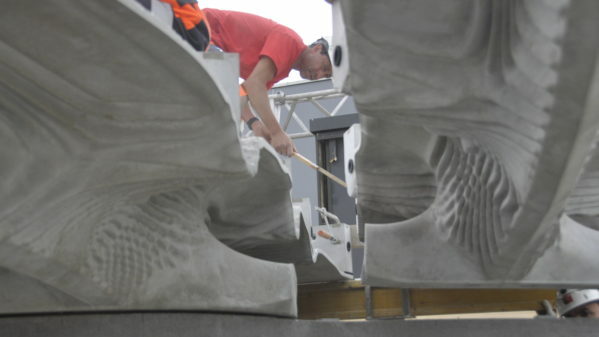 One after the other the crane lifted a total of eleven customized elements onto the top platform of the NEST. 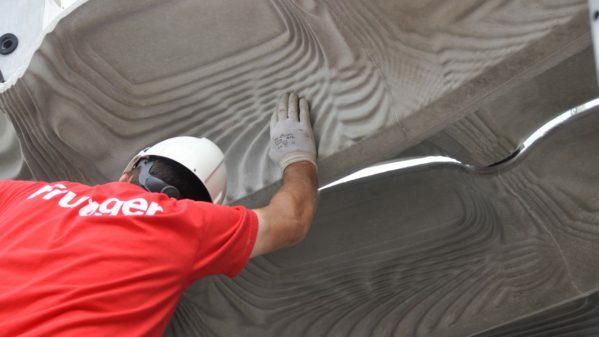 Then they were placed with millimeter precision onto the underlying double-curved Mesh Mould wall. 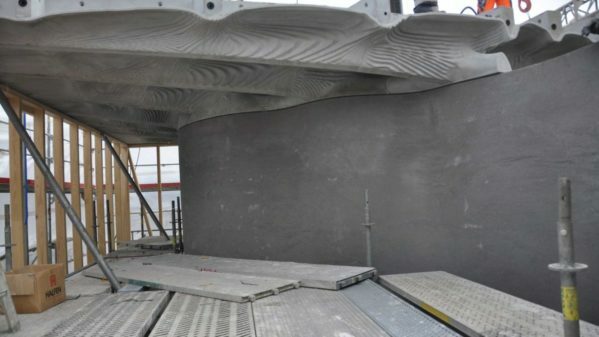 The production process, which utilises 3D printing to fabricate the formwork, together with the assembly are a first for the ETH Zurich researchers and the involved architects and industry partners. 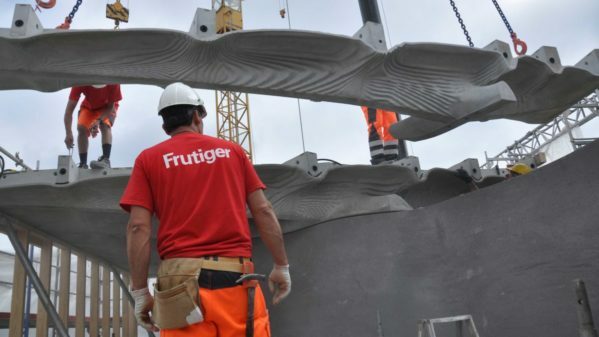 The low material strength, complex geometry and exact placement of the segments on the 12cm-thin Mesh Mould wall presented great challenges for all involved. 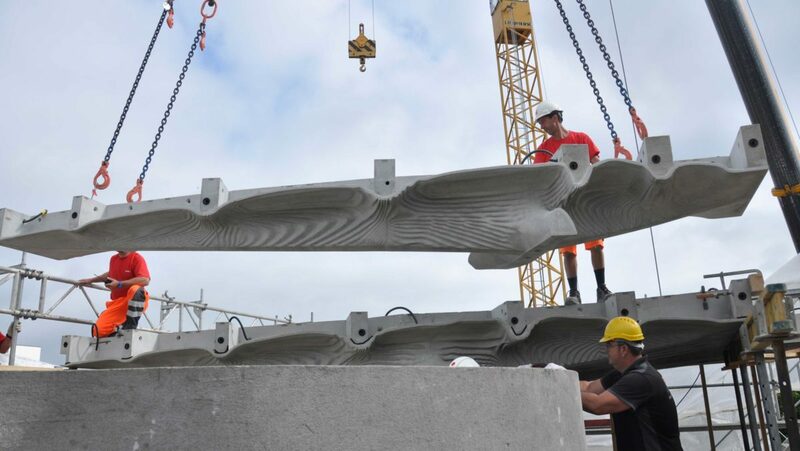 As a next step, the Smart Slab elements will be post-tensionend. Only then can the assembly of the two story timber structure on the 80m2-large ceiling begin. 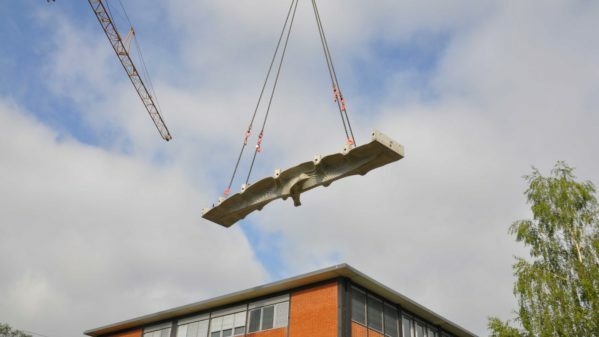 The timber modules were prefabricated by robots in the Robotic Fabrication Laboratory of ETH Zurich using the novel building method Spatial Timber Assemblies and are at the moment awaiting transport to the construction site.